And while we love the sleek, shiny acrylic, there’s something really special about matte acrylic, too. It has a luxe vibe, giving the pieces an air of sophistication. The matte finish is reminiscent of a painted or metallic finish, and it keeps those pesky fingerprints at bay—an important consideration if your product will be handled a lot. 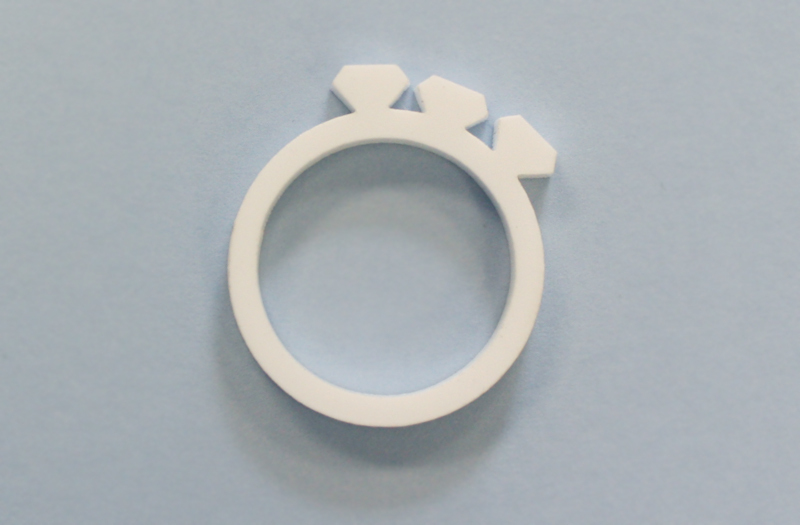 So if you’d like to give matte acrylic a go for your next laser cutter project, check out the new matte white acrylic we just added to the NZ materials catalog. 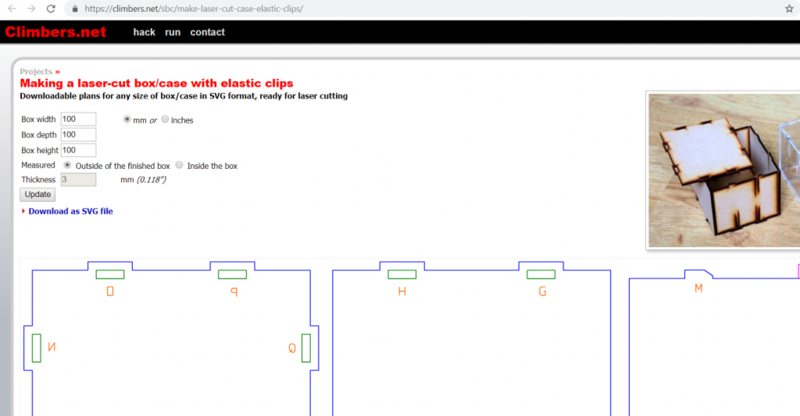 Acrylic is ideal for laser cutting electronic project boxes, especially when the design includes clips to fasten the flat pieces (shown above) together. To simply the box making, we used this site to create the file. 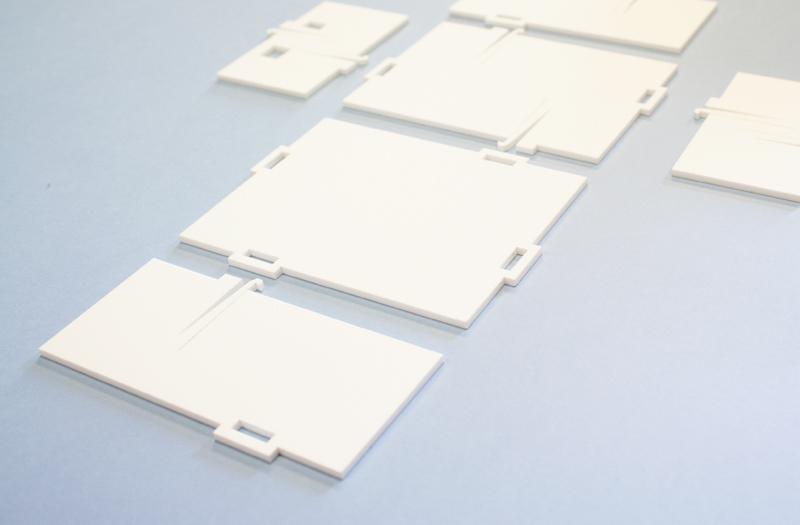 Simply input the dimensions, and the program generates a file for 3mm acrylic (the most common acrylic thickness used). Overall we found this a pretty neat way to quickly make a box, as the clips hold the box together without any need for glue or fasteners. That said, this design didn’t yield the most solid of boxes, so some iterations may be needed for an enclosure that’s more structurally sound. 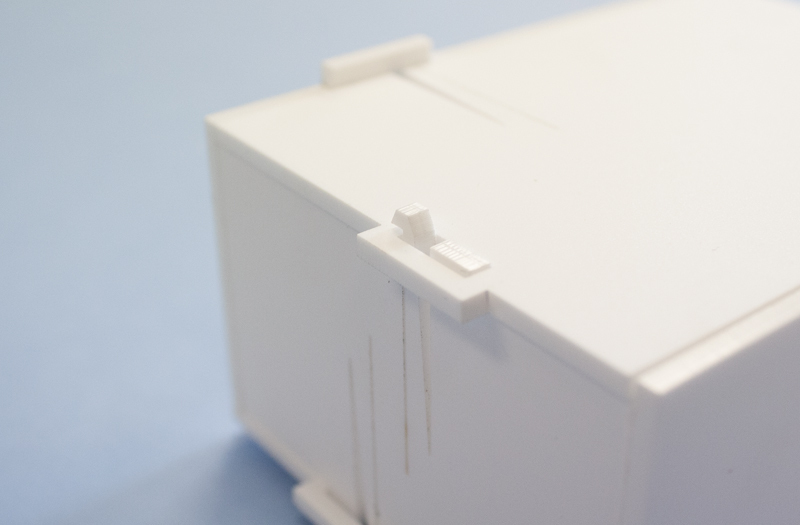 While this box as an example of how clips can be used to fasten pieces, it’s easy to see how the clips can also be integrated into other designs that need assembly. Keep in mind that engraving on white doesn’t show up that well, so if you want engraved designs or text to pop (especially if you’re labeling buttons on electronics), you’ll need add a bit of color to engraved areas after making. 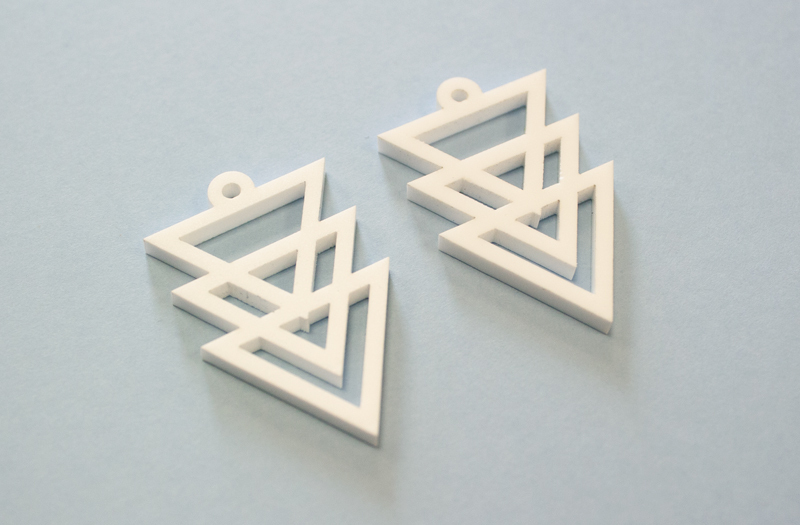 Geometric designs always look great laser cut, and these layered triangles are no exception. In contrast to the geometric shapes of the earrings above, this ring showcases the smooth circle of the ring with a few “diamonds,” because we all know they’re a girl’s best friend. 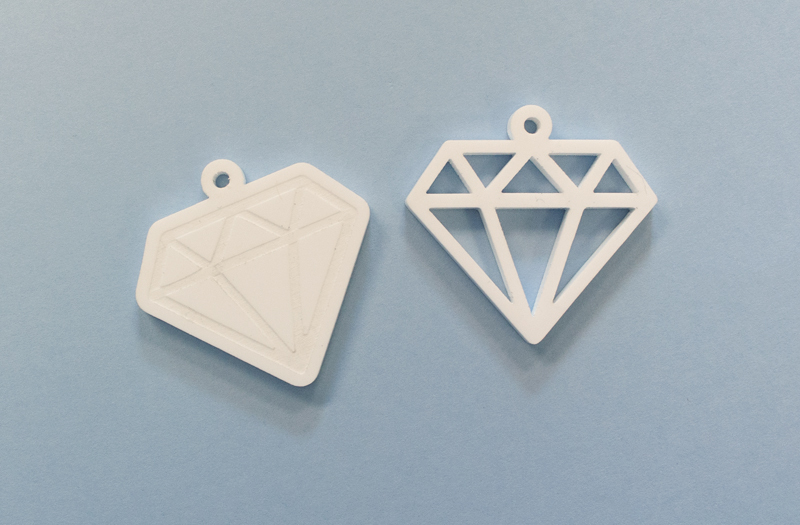 With this pendant, you can see the difference with laser engraving a solid shape on the left vs. a fully laser cut piece on the right. The engraving is subtle, so if you want it to be more visible, you’ll need to add a bit of color via hand finishing. With a matte finish on one side and a glossy finish on the other, this acrylic is hard and stiff as plastics go. Because it is so rigid, acrylic is sensitive to stress concentrations, especially if parts are small or thin. 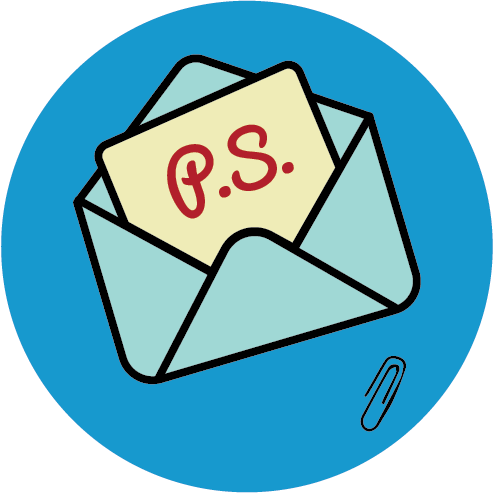 Details should not be smaller than 1mm/0.04″ as they are likely to be too fragile. 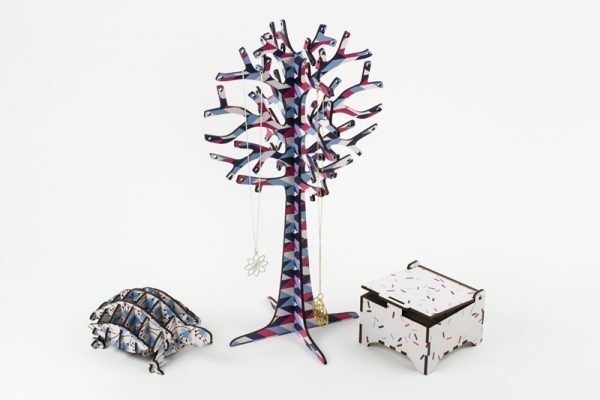 Maker Tips: Creating structures from acrylic can be tricky due to variations in the material thickness. Creating a design that can accommodate variations in the material thickness is the best way to go. This post on making interlocking designs can help. 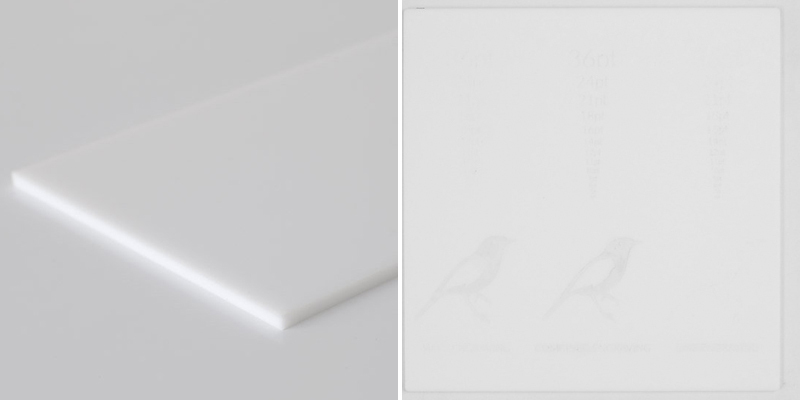 If you find Matte White Acrylic inspiring, find all the details here and grab a sample here. 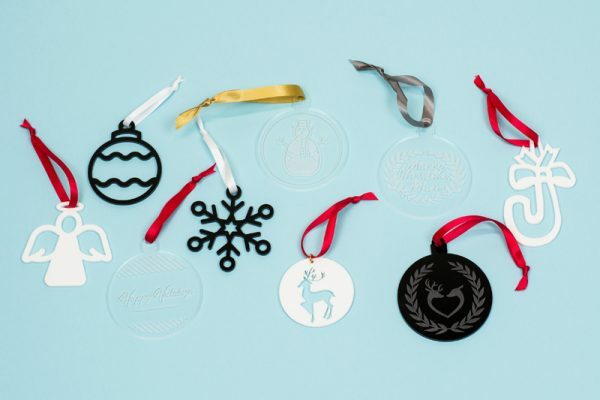 What Will You Laser Cut With White Matte Acrylic? What do you think about this new white matte acrylic? 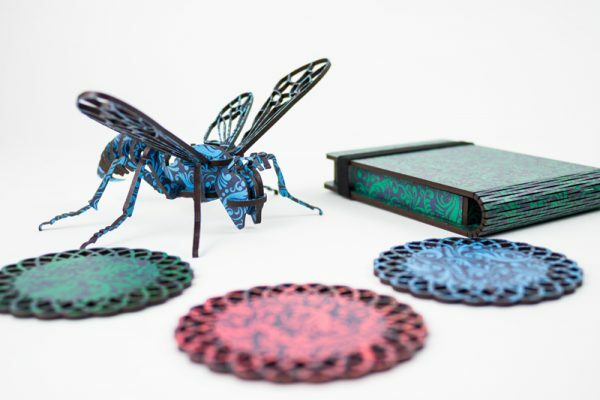 Will you make electronic enclosures or jewelry like we did, or will you use it for something unexpected? Whatever you decide, drop us a line below to tell us all about it. We’d love to hear what you’re making!